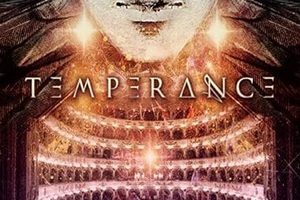 After three studio albums and a quality live DVD release, Italian modern melodic metal band Temperance parted ways with three members in a two-year period – including singer Chiara Tricarico and keyboardist/drummer Giulio Capone. 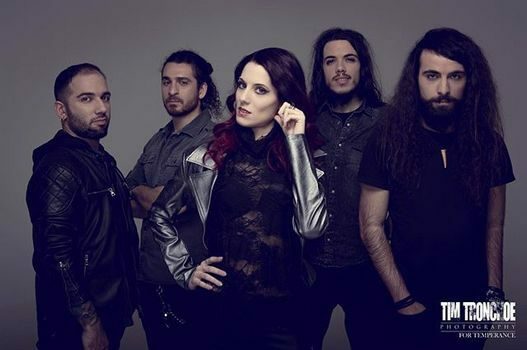 Fear not, because this turnover has actually become a blessing in disguise to open up more horizons on the vocal front – as the fans welcome two new vocalists in Alessia Scolletti and Michele Guaitoli, plus drummer Alfonso Mocerino to expand into a quintet. Their fourth and latest record Of Jupiter and Moons shimmers with the spirit of everything from power riffs and keyboard flourishes to gothic, symphonic, folk, and conventional hard rock textures – bringing vitality to a genre often churning out an assembly line of Nightwish knockoffs. While in the midst of their initial tour run across Europe to support the new record, Michele was kind enough before a soundcheck in Belgium to provide us with more information surrounding his opportunity to join Temperance, how their triple threat vocal outlook can be a difference maker, and his varied thoughts on the music industry due to his roles as a vocal teacher, engineer, and musician – plus insight into the changing marketplace. Dead Rhetoric: Can you tell me about your musical background as far as your childhood, when your interest in music started, and how you progressed into playing in bands? Michele Guaitoli: Everything started when I was six. My mother she took me to a music school to play the piano. I liked it, I got involved in it, and I found a good teacher that was much more into modern music than I expected, which was nice even if it was more of a classical music school. At twelve I started to get involved with electric guitars, and my mother became angry because the electric guitars are louder than the classical guitars. And then I started singing- it finally happened at eighteen I started my first band, and there you go! Piano is my main instrument, as much as the vocals of course. I kept on studying on my own through the work of Bach, Mozart, and company. I started to study both piano and vocals with a teacher, Michele Luppi who is the vocalist of Secret Sphere and the keyboardist now within Whitesnake. I studied with him for five or six years, and the studying started to become less and less because of his (expanded) duties of the live shows. Dead Rhetoric: You are one of two new singers within Temperance. How did you gain the chance to join the band – and did it surprise you that they were replacing one vocalist for two in this new incarnation of the group? Guaitoli: Actually, the thing that surprised me is that (guitarist) Marco (Pastorino) had asked for another male vocalist because he has an amazing voice and he sings like a beast. The friendship we have is a very long one- we met on the road when Secret Sphere and Overtures, my previous band, toured together in 2013. Overtures was the opening act for that tour and that’s where we first met. We started to get involved as wonderful friends. Since that time, we talked through Facebook the friendship grows more and more through the years. When Chiara split, he wanted to make sure he had friends as singers, so the choice was easy for him to get two new singers. 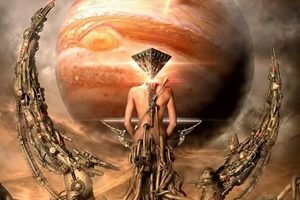 Dead Rhetoric: Of Jupiter and Moons is the new album. Where do you see the major differences in terms of this record compared to the previous Temperance discography? 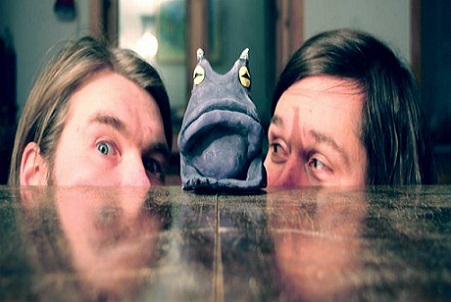 Guaitoli: The vocal harmonies. Having three clean singers gives a unique strength to Temperance. No band has such a lineup, actually – or at least I don’t know of them (laughs). We can play a game with the voices that no other bands can. You have a clean female vocalist, a clean male vocalist, and sometimes a male growl vocalist with Visions of Atlantis or Amaranthe – but three clean vocalists is something unique, and a very large vocal range that you can work on. Dead Rhetoric: Now that the band has three distinct vocalists (guitarist Marco Pastorino also does vocal work), how does the band decide who handles what as far as the vocals song to song? Do you work things out in advance, or is it more of a trial and error basis as the songs evolve? Guaitoli: It’s a matter of sound. We take a lot of care concerning the colors of the vocals, our own voices. Some parts fit better with Marco’s style, Marco is in the timbre, the specific sound of his voice fits best where he is singing- where I am singing, my voice specifically fits best, and the same with Alessia. Sometimes you need a high note, and Alessia is easier for the higher notes- sometimes you need something with more power, and Marco can sing with a stressed voice. When we are going lower, sometimes it’s a mixture of Marco and myself due to the bass frequencies. At times we need a female voice to be more delicate and that’s where Alessia works out. It’s a matter of sound. Guaitoli: Yes we are. We are trying to do the most real things we can. We wanted real violins, real strings, real pianos, real Hammonds, real orchestration. It was an effort, but we try really hard to have real sounds on this album. This brings an incredible addition to the sound over the entire album. Too many times in our opinion in the metal scene bands use the same sounds from libraries or keyboards. We are looking for album to album the most real instruments that we can. We want to bring the best sound that we can live without sounding fake. Dead Rhetoric: Do you believe that is important to convey in the live show, to keep things as real as possible without as many backing tracks? Guaitoli: Of course. For example, a great side of this new dynamic is we can totally remove the backing vocals in the samples, which is a (much) used thing in the scene. Temperance tried before we got this new lineup to have a live show with the strings, for that DVD. That would be a dream to have that show become live all the time, but it would be very expensive in our plans. We will try to have a mixture of some real orchestration and strings, at least in terms of bigger or stronger headlining shows. It’s expensive, but we will do our best. 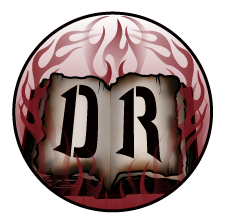 Dead Rhetoric: What can you tell me about the video shoot for the title track of the record? Do you believe your style of modern melodic metal lends itself very well to the visual medium for promotion? Guaitoli: We gave a blank paper to the video director – and we gave him the lyrics to the song. We gave him the concept – then he did the work. We saw the final results as it was done, and it was perfect. “Of Jupiter and Moons” is a story, a novel that is created and the visual images in the clip perfectly fit with what we had in our minds while recording the song. A ten out of ten in our opinion. Dead Rhetoric: You also do work as a producer, sound engineer, and a vocal teacher. How do you believe this shapes your own abilities as a singer and musician – do you believe you are consistently learning and growing through all of this work? Guaitoli: It’s part of myself, as important as anything else in anything I do. I wouldn’t be the singer that I am without being the sound engineer that I am, or the teacher I am. Teaching is also learning, because the students – it’s not only given what you have, but you continuously learn with your students on an ongoing basis. Singing is an art that can be strange, a student’s abilities can be amazing and you learn from them as you teach them. This makes me a better singer, I think. Also working as a studio engineer, completes the singing part. Learning from recording and from my own recordings, I grow because I notice the mistakes, I improve, and I understand my sounds. This is something that every musician in 2018 should do- the recording part. Every good musician in the modern era should learn how to record themselves and how to record an album in my opinion. This is my point of view. Every part of this completes the other. Dead Rhetoric: What do you see as some of the biggest concerns your vocal students have as far as singing that you work with them on? Guaitoli: Probably it’s the vocal strain. The main thing the students are concerned with is the vocal strain. Singing is physical, and it needs training like football, basketball, and soccer. You need to train your voice. Every student starts with me asking how can I sing for more time and as long as I want without feeling strained at the end of the show. It’s a matter of technique, responses, the air flow, and a matter of training. Dead Rhetoric: We all know that the music industry has changed immeasurably over the past decade as digital media and streaming often outpace physical sales for records. How do you handle all of these changes and remain positive or sane? Guaitoli: I have a particular point of view on this side of the music industry. I believe that music is live. If you jump into the past you see that every musician started to record live performances. Then the music industry changed this business, and musicians started to record before playing live, or to promote something to play live- but music didn’t start this way. Music started with live music, and then you record the albums to create a memory of everything. What is happening now, music is taking back through the years where the main goal of the band should be about playing live and impressing the crowds live. CD’s are just a part of this business- and every band that gives heart and passion to the live gigs will survive. This era of music will make some grooves in regards to streaming versus CD’s, LP’s, but the music will not die, ever. Dead Rhetoric: What do you think are the keys for Temperance to climb the ladder and reach the next level of success? Guaitoli: Playing live! (laughs). A band like us needs to make ourselves noticed, to spread ourselves out throughout the world. We sacrifice ourselves, give the right time to the band that is deserved, and go everywhere we can to promote our music. Every show that we play is a seed we plant in the ground, and keep on playing so that everything will grow. Dead Rhetoric: What does the Temperance set list look like, given the fact that you have four albums to pour through – and have things changed a bit now with the triple threat vocal approach to that older material? Guaitoli: Let’s see we Jupiter-ize the old songs. Alessia did a great job with splitting the parts- we take the old songs and worked on them as if they were newly composed songs. She helped define which voice should sound better on every melody, and we split the parts. Just as if they were a part of the new album. It became a game of vocal harmonies again. We will record some of the old stuff with the new lineup to use as references to the listeners. Dead Rhetoric: How do you feel about the state of heavy metal worldwide? What excites you most these days, and what concerns do you have for the future of the scene? Guaitoli: Festivals. I think festivals are the most exciting situations for the metal scene. As a fan, I am one of those people who goes to Wacken Open Air every year, or Metal Days every year- it’s like one of the best experiences of my life always. You get to experience new bands, mixed together with the old gods of heavy metal. In this kind of experience, you can see the timeline of heavy metal from the new bands to the old bands mixed together and this is amazing. What concerns me is that from some points of views people get a bit bored of some artists, not me, but sometimes at a festival you don’t have as strong of ticket sales as in the past. Wacken is now not sold out after two minutes like in the past. People get a bit bored of hearing the same names- so we have a mission as a band, like all the newcomers, to create new music that can be compared to stay on the same level as the old gods. Who knows if it can be reached, but we really have to (try) and do it. Dead Rhetoric: How is it to be able to perform vocals with your girlfriend Alessia within Temperance? Guaitoli: (laughs). Good question. Actually, I’ve always been a bit cold when it comes to working on the professional side. I am very able to divide my personal life and my private life from on stage. When I am rehearsing with Alessia, I treat her like an equal band member. We can get to our peace after the rehearsals. When everything ends and the curtain closes, everything comes back to normal. Alessia is very professional, and there are no big problems. We are not the first people to be considered a couple – Within Temptation or Epica in the beginning, it’s not something new. Dead Rhetoric: You also play in Overtures and Kaledon, how do you separate what you do between the three bands? Is Temperance the priority? Guaitoli: Temperance is the priority because Temperance are five musicians that are willing to work as musicians and be musicians. I don’t mean that Overtures or Kaledon are on a lower level. In Temperance we made this choice to lead our lives from the beginning to the end 100% music. What happens is that Temperance made these choices – we can give 365 days a year to the band. In Kaledon, some of them are workers, some of them have families, and could not tour for months. And the same thing happens in Overtures – there is a choice you must do in your life. Temperance made this choice, the other band(s) couldn’t- a lot of reasons, but that makes automatically Temperance the main and most important band of mine. Dead Rhetoric: I remember reading in a previous interview you did in another website your frustration that football games in Italy bother you with how long they go and hurts the audiences when you try to play live shows. Can you delve a little further into this? Guaitoli: Okay, what happens is in the venues there can be both concerts and football games. Every time the higher level of attention is given to soccer than the music, this bothers me a bit. Live venues and sports shouldn’t have to deal with the same situations. 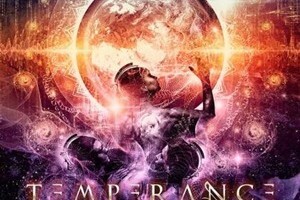 Dead Rhetoric: What does the next six to twelve months look like for Temperance in support of this new record? Guaitoli: We have tons of live shows, and activities ready to be done. You can check our social media and website pages to see how many shows we have scheduled and where we will be more in the coming days. Our plan is play as much as we can!